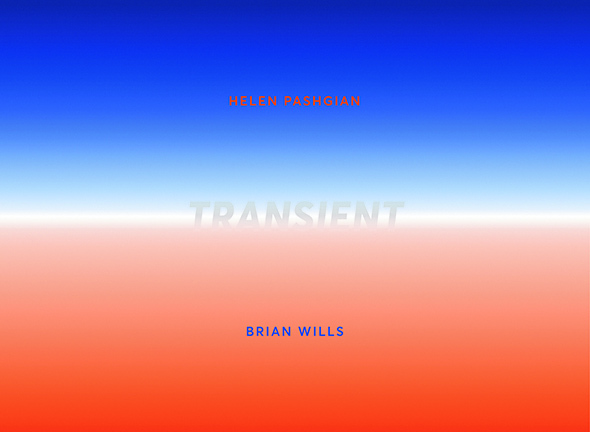 TOTAH is proud to present Transient, an exhibition of California Light and Space artists Helen Pashgian and Brian Wills, which will open May 3. Both Pashgian, pioneer of the original Light and Space movement, and Wills, of its next generation, traffic in obsessive experimentation with the conditions of vision. Seeking patterns of line and color, depth and motion, transparency and opacity, reflection and refraction, their true medium is light itself. Transient slices across physics and neuroscience, optics and vision; requiring of the viewer to navigate the tension between the eye, the brain and the body. Space is arguably incalculable without light—oscillating between wave and particle—but most certainly indiscernible without movement, with which we travel around and through a work of art and take possession of it as our own. Pashgian and Wills share a trademark of testing the boundaries of their craft, laboring over their materials until they disembody, abandoning their very mundane physicality. With skills approaching scientific exactitude, Wills stretches thousands of infinitely hued nylon and rayon threads against wood frames, while Pashgian relentlessly drives epoxy into molds that defy all previous applications. Both artists’ subject is the proto-light of the west, that blue, harsh light… reflecting and refracting off surfaces, smog, mist, casting shadows, and at times flashing brilliant diamond white, bright as an atom bomb. Light is as old as the universe itself, and yet, as new and exciting as ever. Pashgian and Wills explore alongside the likes of Kepler, Copernicus, Galileo, and (literally for Pashgian) Richard Feynman, using abstraction, instead of mathematics or music, to confront new possibilities of understanding color, movement and spatial relationships—whether immediate or cosmological. Uniting Pashgian and Wills’ works is the singularity, that point of no return where only artists and scientists go, with endless curiosity and passion, in the name of discovery. So Wills spans myriad multicolored strings against shallow depths, aggregating integers of transparency—the surfaces of his work so infinitesimally varied in resolution as one moves across them—as to approach eternity. While Pashgian casts shadows of nebulous origin deep within her unfathomable plasmic substances—so that one dances around guessing at the source of their emanating light, and of their changing colors, hues and forms. This then occurs, the hallmark of great art: suddenly we are close looking; we’ve surrendered seeing; the object disappears and we are left with just ourselves; vibrating, pulsating, engaged, entranced in deep play with that mother of all creation: wonder. For information and inquiries, please write to us at info [​at​] davidtotah.com or call T +1 212 582 6111. TOTAH is a lower east side gallery dedicated to reengaging the alchemy between artist and gallerist. We align artist, practice, thought, and audience, presenting emerging and established talent in solidarity with a culture of authentic expression. TOTAH is a nexus for creativity rooted in uncompromising vision.